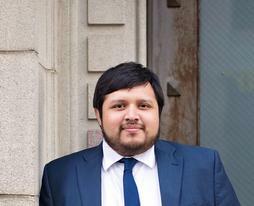 Eliud Zavala is the founder and managing member of Zavala Law Firm, PLLC – an immigration law firm based in Houston. As an immigrant himself, Mr. Zavala knows the difficulties of going through the complexities of the U.S. immigration system. As an experienced immigration attorney, Mr. Zavala provides the most attentive, caring, and efficient representation to help his clients navigate the immigration system with ease and success. Mr. Zavala is a former associate immigration attorney of FosterQuan, LLP later Foster, LLP – the nation’s largest minority-owned and preeminent global immigration law firm. He has assisted in the preparation and filing of cases before the Executive Office for Immigration Review, Board of Immigration Appeals, Administrative Appeals Office, U.S. Citizenship and Immigration Service and U.S. consulates throughout the world. 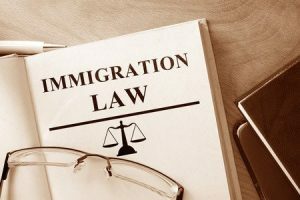 Immigration attorney Zavala can help you with family petitions, permanent residence, K-1 fiance(e) visas, K-3 spouse visas, and consular process as well as the permanent residence through consulates throughout the world. Mr. Zavala can also help you with permanent residence through employment-based preferences such as outstanding researchers and professors, for people with extraordinary ability in the arts, sciences, education, business, or athletics, for multinational managers or executives. Immigration lawyer Zavala has also guided those seeking a national interest waiver, skilled workers, professionals, religious workers and immigrant investor petitions pertaining to EB-5 investments.Mr. Zavala also represents clients seeking no-immigrant visas such as TN; E1 and E2; L-1A and L-1B; H-1B; and R-1. Immigration lawyer Zavala has also been a panelist for the American Immigration Lawyer Association Texas Chapter Conference and has appeared in local and statewide newscast with Univision to speak about the immigration-related news. Mr. Zavala is a member of the State Bar of Texas, American Immigration Lawyers Association and the American Bar Association. As the U.S. policy on immigration continues to change, it’s more important than ever to join forces with an experienced immigration attorney who will protect your rights. 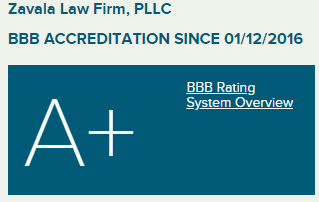 At the Zavala Law Firm, PLLC, we offer compassionate counsel and superior legal services for individuals, families, and businesses dealing with immigration matters. Nothing is harder than being separated from the ones you love. Some of the most meaningful work we do at the Zavala Immigration Law Firm involves reuniting families. 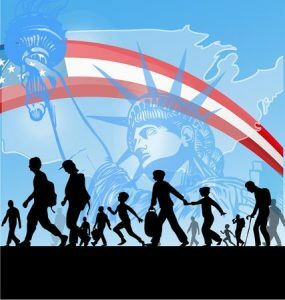 Immigration attorney Eliud Zavala has helped countless individuals successfully obtain permanent residence in the U.S. through family-based petitions. If you are a lawful permanent resident (green card holder) or U.S. citizen who wants to petition a family relative for an immigrant visa, you need to file an I-130 visa petition for Alien Relative with the United States Citizenship and Immigration Services (USCIS) offices. But before starting this family-based immigration process, it’s important to define which relatives are eligible based on your immigration status. Immediate relatives are given special priority and are not subject to annual immigration visa quotas, which means they generally do not have to endure a long waiting period to file for a green card. Family preference relatives apply to those family members who are not immediate relatives. Unfortunately, there are annual limits on the number of Family Preference Visas that can be approved. 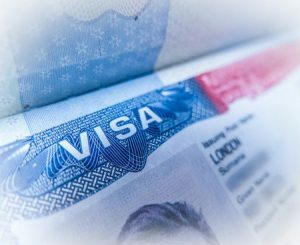 If you have a foreign national spouse that you wish to bring to the U.S., one option is for them to apply for a K-3 visa. A K3 visa allows your spouse to come to the U.S. while the visa is pending. Upon entry, he/she can apply to adjust their status to a lawful permanent residence. The K3 must be filed and issued by a US consulate in the country where the marriage took place. 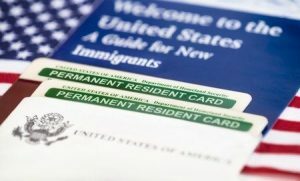 If you are a U.S. citizen engaged to a non-citizen who is living abroad, there are options available to help them obtain permanent residence here in the U.S.
An application for permanent residence or green card application is the second step which follows the family relative petition. There are two paths to complete the permanent residence process. One is to file Form I-485 and adjust your permanent residence while living in the United States. The second path is to apply for an immigrant visa at a consulate in your home country and gain entry into the United States after an interview at the U.S. consulate in your country. 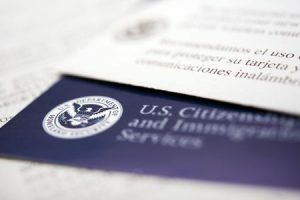 It is imperative to consult with an experienced immigration attorney, such as Attorney Zavala, to correctly identify your eligibility for permanent residence in the United States. The wrong help can land you in deportation proceedings or can make you lose thousands of dollars in government application fees. If you entered the U.S. without a visa but are the spouse, child, or parent of someone in the U.S. military, you may qualify for a program called parole in place (PIP) which allows you to adjust your status and obtain a green card while remaining in the U.S. Being considered inadmissible means you will likely not be issued a visa to come to the U.S. or might be refused admission to the U.S. at a port of entry. If you currently reside in the U.S., you may have been denied an adjustment of status due to a violation of an immigrant or criminal law. The good news is that the law provides an opportunity for you to apply for legal “forgiveness” and obtain a waiver. If you were denied entry into the U.S. because you have a criminal history, you may be eligible to file for a waiver application. This 212 waiver is available if you can prove that a U.S. citizen or lawful permanent resident spouse or parent would face extreme hardship if you are denied or removed from the U.S. If you want to work in the U.S. for a fixed period of time, we can assist you and/or your prospective employer with securing a temporary work visa that matches your needs and qualifications. The most popular temporary work visa is the H-1B. The H-1B program allows workers in specialty occupations to work in the U.S. for up to a total of six years. An H-1B requires a higher education degree or equivalent experience. Before you can apply for a temporary worker visa at a U.S. embassy or consulate, your employer must file a Petition for a Nonimmigrant Worker, Form I-129 on your behalf and it must be approved by the U.S. Citizenship and Immigration Services (USCIS). In most cases, an H-1B requires proof of a job offer and duration of employment. 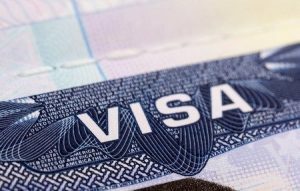 These visas go quickly as Congress has set the current annual cap for H-1B visas at 65,000. Every year between October 1 and September 30, there are roughly 140,000 employment-based immigration visas made available to foreign workers. To be considered for a work visa, your prospective employer must first obtain a labor certification approval from the Department of Labor. Once received, the employer files an Immigrant Petition for Alien Worker, Form I-140, with the U.S. Citizenship and Immigration Services (USCIS) for the appropriate employment-based preference category. Once approval has been granted, your employer will file an I-140 form or Immigrant Petition for Alien Worker with the U.S. Citizenship and Immigration Services (USCIS) for the employment-based preference category that matches. People with extraordinary ability in the sciences, arts, education, business, or athletics. Professionals whose jobs require at least a baccalaureate degree from a U.S. university or college or its foreign equivalent degree. Investments must result in the creation of 10 full-time jobs for U.S. workers. These jobs must be created within a two year period after you receive your conditional permanent residency. The threat of deportation is an extremely traumatic and frightening ordeal. The thought of being torn away from your family and the life you’ve grown accustomed to is unimaginable. The Houston immigration lawyers at The Zavala Law Office understands the fear and uncertainty you’re dealing with and can help you find a form of relief or defense to prevent the worst from happening. With so much at stake, take decisive action now. Call us. Being arrested and convicted of a serious crime such as domestic violence, illegal possession of a firearm or drug possession. 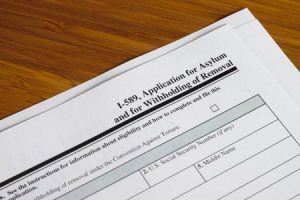 If you cannot return to your home country due to a well-founded fear that you may be persecuted due to your race, religion, nationality, social status, or political beliefs, you may qualify for relief from removal through a petition for asylum, withholding or removal, or Convention Against Torture (CAT). We can assist you whether you have fled your country seeking asylum or are in the U.S. illegally and have a real fear of being persecuted if deported back. 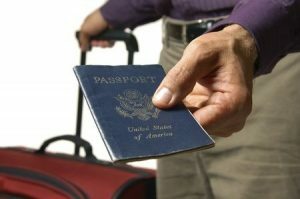 Cancellation of Removal: If you have a green card but have a criminal conviction on your record and have been placed into removal proceedings, you may qualify for cancellation of removal. Deferred Action for Childhood Arrivals, or DACA, is a federal program created in 2012 to protect undocumented immigrants who entered the country as minors from deportation proceedings. DACA allows eligible applicants to defer removal for two years. During this time you will be able to obtain a social security number and seek employment. If the conditions in your home country are deemed to be unsafe, you may be eligible to receive Temporary Protected Status. This allows you to live and work in the U.S. and travel back and forth without fear of being placed in deportation proceedings. Countries eligible for TPS: El Salvador, Guinea, Haití, Honduras, Liberia, Nicaragua, Sierra Leone, Somalia, Sudan, South Sudan, Yemen, and Syria. U.S. Immigration Law provides three different visas for victims of crimes who want to stay in or come to the U.S. 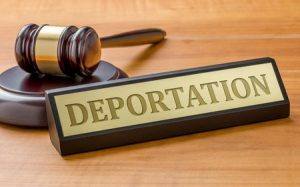 If you have received a final order of deportation and are in danger of being immediately deported, we can file an emergency motion for stay of removal with either the Board of Immigration Appeals or a Federal Court. This order can suspend the authority of the Department of Homeland Security to execute the order of deportation. A request for an administrative stay of removal requires the filing of an official form I-246 and a filing fee of $155. A stay can be granted for three months up to one year. ICE may grant a stay for sympathetic family, social, health or economic factors. 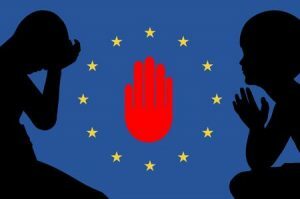 Whereas individuals who are being deported must leave the country within 30 days, you will be given 60-120 days to get your “affairs in order” and to make living arrangements in your home country. The main benefit of a voluntary departure is that you won’t be automatically barred from returning to the U.S. at a later time. If you have been living in the U.S. as a lawful permanent citizen or on a green card and are ready to pursue obtaining citizenship, we can help you take this exciting next step. The naturalization process can be complex but we can save you valuable time, effort and expense in preparing your application and making sure it’s free from costly errors. Once granted citizenship, you will have the right to vote, the right to government jobs, the right to apply for resident status for family members and the freedom to travel with an American passport which provides entry without a visa into many countries.